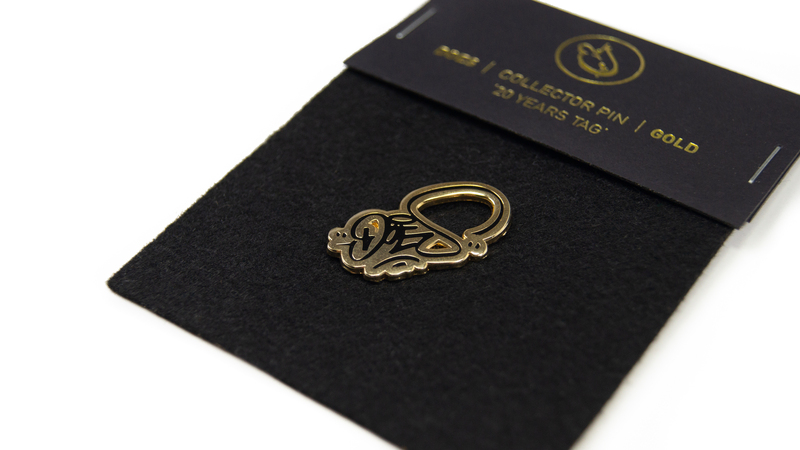 The '20 Years Tag' pin is part of the first collection pins released by 'DOES'. The pin is enclosed in a grip-seal bag. This pin can also be purchased together with the 'Late Night' and 'Logo Drip' pins in the 'Triple Gold' deluxe edition box. These pins are made with care for detail. 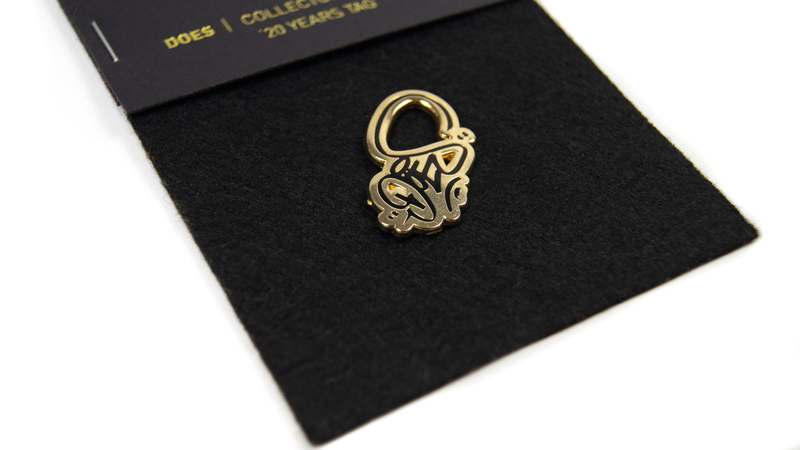 Gold version of the DOES '20 Years Tag' pin. The 'Logo Drip' pin is part of the 'Triple Gold' deluxe box.